"My Dream of Lycee de Vientiane" was written over 10 years ago, when the author felt quite homesick for the beautiful country where she was born. 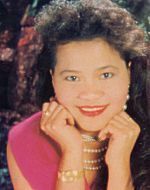 The story was published in a popular Lao magazine in Jan 1990 and she won the "best writing award" of that year. This translation to English was made for Asiaphoto to present it to all our visitors. 28 years past my childhood and the dream never fades. It lingers in a special place in my heart and my mind every single day. My life has changed, growing up, but I will never forget my young childhood and my special dream. I wrote this story, from my heart, to share with the many generations of people. Some people whose dreams don’t come true and some that are still striving for theirs. It has been over a quarter of a century, but my dream has not been lost in time. It was June of 1972. After a night of tropical rain, the gentle morning breeze had a crisp coolness about it. The Mango tree shuddered from the wind. A small green rice field nearby was rippling with waves under the breeze. My father was away at our rice farm, a large farm, about 50 kilometers from where we were living. He had been gone seven days. Though I missed him very much, he promised to return on Buddha Day and take my brother and I to the farm. We could go swimming and fishing at the creek and do many other fun things at our farm. We couldn’t wait to go there. My brother and I were always very close, even when I was a little girl. We are still the best of friends. We always did things together. We talked and played and shared dreams and thoughts. My brother and I were in the same 4th grade class, at the time. We studied French, Thai and Laos. We, especially, learned how to read and speak French, well. Though my brother is eleven months older, we studied 4th grade work together because I have better study habits and can help him with his studies, especially with literature and poetry. We lived in the city house, this time of the year, because our parents have to tend to the rice fields at the farm. My Grandmother and older sister are in taking care of us. Our parents work the fields at the farm until our next school season starts. Grandmother does not allow us to go very far from the house in the city unless an adult supervises us. Lately, we had been especially good. We did our chores, our studying, and had been on our best behavior. We had received a small allowance for our efforts. Because of this, we asked Grandma if we could go to the movies and have a snack by ourselves. She agreed as long as we stayed within a certain area and were home by 5 o’clock. If we were still good, she will take us to the Buddha temple, after dinner around 6:00, to pray. This was due to it being Khao-Phansa season. That time of year is important for children to go to temple so as to listen and pray. We respectfully agree to be back by 5:00. From my house on Ban Sidomdoun in Sisettanak Vientiane to Anu Savali it is only 2 blocks. My brother and I start walking from home down Lan Xang Avenue toward south Phon Keung. As we passed the American airfield base, we stopped and stared in awe at the many old and new warplanes. We saw helicopters, B-52s, artillery, tanks and rockets. When we had enough of the base we proceeded across the street to see Nam-Pa-Pa, a French built water filtration plant. Then we went to That Luang, a huge golden stupa that King Sithatha built in 1560. It is an old monument. My brother and I went in and prayed. After that we could tour the inside. After the stupa we walked 3 Km across the square to the Sisang Von movie theatre. In front of the theatre were street vendors selling food. We purchased o’leang (sweet ice coffee) and a French croissant dipped with honey and creamy coconut topping. It is delicious. The movie theatre was packed with people trying to get in but the movie was sold out. We were lucky that my older sister, Khammai was working at the theatre ticket booth. She saved two tickets just for us. We saw Xang Poen Keo, an Eastern Indian movie. It was wonderfully happy and sad. I cried through the movie. After the movie, we walked back to the main street to Nong Bon-Phonxy That-fuon community. This is the morning market mall. We went inside to a small noodle shop and had papaya salad, a bowl of Fir and a glass of soda. After we are finished our lunch, we walked around the mall for a little while. We took a different way home past the International Ambassador Village. They are all modern high-tech buildings with high security fences. They are so different from the buildings we are used to seeing that they fascinated us. Now we have come full circle and returned back to Anu Savali. Our day is gone. It is almost 4:00pm and Vientiane City is very big adventure for a young girl of 8 years old. Just then I heard the 4:00 chime from the University clock across the street from where I am standing. The name of the University is Lycee De Vientian. I told my brother that we have a little more time and let’s go see The Lycee. He agreed and so we ran across the street to the University. It was many three story white buildings behind a fenced in compound. Although the gates are open we cannot enter so we stared through the wrought iron fence at the thick green grass and the beautiful landscaping. Many beautiful flowers lined the fence. The common areas had large old trees with benches underneath to relax and study. The parking lot was on the far side of the school. From where we stood, we could see the cafeteria, bookstore and the library. In the distance we could see the sports stadium. We learned that they play soccer, basketball and swim at a pool in that area. I could not believe all that I was seeing. We saw students of the university, thousands of young men and young women, coming out of the buildings wearing their clean, sharp uniforms. The girls were wearing navy salongs, white shirts, and a silver belt around their waist. A red bandana decorated their neck and each one had black shiny shoes with white socks. Their long braided hair was adorned with a white bow. The boys were dressed in similar attire with well-groomed hair. These students are considered some of the top students in the country. They can speak and read French fluently and study many things. After classes are over, it is tradition and a rule to respect and honor the Laos Royal Flag. It is a red flag with 3 elephant heads. Everyone lined up facing the flagpole. The boys on one side, the girls on the other and teachers on a third side. Slowly, the flag was lowered while the students sang the Laos Anthem. After the flag is down, it is folded neatly, signifying that the school day is over. Some students go home, some stay for extra classes, and others participate in games such as soccer. As we are standing there taking in all the sights, the young men students fill the soccer field for practice. Many people stop to watch the muscular young men refining their skills running up and down the field and kicking soccer balls. Suddenly, a soccer ball flew passed the goal and over the fence. It rolled to a stop at my feet. I reached down for the ball as the young soccer player came running up to the fence. When he saw I had the ball, he clapped his hands and called to me very loud. Nang noi (sweet little lady) come inside the school field and kick the ball real hard to me. Quickly, I did what he said. I went around the fence corner through the gate onto the school field. I put the ball down on the thick beautiful fancy grass. I lift my right foot up and kick as hard as I can. I kicked the ball right at my target. It landed at his feet. I could not believe I did it. I was very surprised. I looked down at my sandal-clad feet. I could not believe it. I was on the school field of the University of Lycee De Vientian. To me, it was unbelievable. I never dreamed I would be standing where I was at that moment. It was a very special moment for an 8-year-old girl. I have always treasured that time. From that day on I had my own dream. My dream was to attend that school. I dedicated myself to my studies promising to graduate high school. I wanted to study literature and writing and to get a degree in this area. My hope was to become a great author. I told my brother "I want to be in this school. Everything in this school is so fancy. I would be very proud to go here." My brother laughed at what I said. He claimed this school is nothing compared to schools overseas. He went on to say how western schools are much fancier and have better technology. He indicated his desire to attend schools in Washington D.C. or New York in the U.S.A. He felt the schools there are of a higher profile and someone would have a better chance to get a good job. I felt those schools were too far away and not in our country. It was my feeling we should take pride in the schools in our country. If I were forced to go to an American school I wouldn’t be happy. Those American schools won’t have that special place in my heart like this Lycee De Vientiane. My brother nudged my arm to signal that it was time to go home. It was almost 4:30 and he didn’t want Grandma to worry about us. Slowly, we turned away from the fence and started for home. After a few steps, I turned for one last look at Lycee De Vientiane. It was the last time I ever saw the school. When we arrived home, Grandma told us to take a shower and change clothes. She insisted that we have some dinner before we go to Buddha Temple. A month before school was over we had a week off from school. All our teachers were invited to celebrate the 12th anniversary of Lycee De Vientiane. Suphone is my favorite teacher. He is also my cousin. He told me about Lycee De Vientiane. He told me the French gave the money to build the school. 600 million francs to build the school. Construction was started in 1958. The main entrance is on Lan Xang Avenue and sits on one square kilometer of land. The Laos government donated the land. The buildings were constructed of steel, concrete, and bricks and topped off with tile roofs. The school opened in February 1960. The director of the school was named Peter Bueteg. The Vientiane governor at the time was Ty Keo Loung Kod and attended the opening. The school was comprised of 100 French professors, 30 English professors, and 170 Laos, Thai, and other professors. Total number of students was 5000. There were 17 three-story buildings with a total of 150 classrooms. This included dormitories and apartments for students and teachers. The dormitories could hold up to 1500 students. The student apartments were on the East Side of the campus while the teacher apartments were located on the other side. There was also a building near the center of the campus for the VIPs and special guests. The center of the campus was like a small village. It had places to eat a market and a theatre. Restrooms were on every corner. Each building had all the modern conveniences such as electricity, running water, air conditioning, and modern appliances. At the grand opening ceremony, the Prime Minister Yod Aphay was at the podium thanking the French government on behalf of the Lao people for all they have done in bringing this fine school to the community. He went on to say how the Lao people would treasure this gift for generations to come. After that I closed my eyes and remembered Suphon, my cousin the teacher. Suphon told me what he knew about this school. I never forgot that. It was April of 1976, when I graduated from middle school. The communists had taken over the government by this time. Life had changed very much under their rule. Many schools and universities were closed including Lycee De Vientiane. Many of the professors and teachers were out of work or teaching at lower level schools. My parents sent me to a high school nearby where we lived. Some of the instructors at my school once taught at Lycee De Vientiane. My cousin Suphon was there too. These people taught me my writing skills. I enjoyed the opportunity to learn from them. It was a wonderful experience to learn from such knowledgeable instructors. Under communist rule, life was getting worse. Lao people were going hungry. Poverty was getting worse. People were fleeing the country because of the hardships. The future for us did not look so bright. My parents were afraid for all of my brothers, sisters and I, as there are ten of us. I am the sixth child. They encouraged us to go to Thailand. Maybe in Thailand things could be better. My father selected three of us to take out of the country first, based on our teen ages. The rest of the family would have to wait until he returned. After we crossed the Mekong River into Thailand, we were stopped by the authorities and directed to a Lao refugee camp in Nongkhai. We arrived to find many Lao refugees in the camp. There were so many, we had to sleep in a tent the Red Cross and United Nations provided for us. We spent four months in the camp. We existed on one meal a day and a gallon of drinking water. Our future did not look good. We seem to have no place to go. We couldn’t go back to Laos and we could not stay in Thailand because of our refugee status. It seemed the only way out was to apply for immigration status to another country. We decided to apply for the United States of America. It took some time but we were lucky enough to find a sponsor from the United States Catholic Social Services. We arrived in San Francisco in December and stayed for three weeks on the way to our final destination in Orlando, Florida. We were not prepared for the cold weather. Our sponsor arranged a small apartment for us to stay in. I was sixteen by this time. I went from being a little girl to a grownup in the U.S.A. very fast. Now came my turn to support the family after years of them taking care of me. The chance to go to on to higher education was not an option for me. My family and I worked during the day and attended night school to learn English in the evening. My father’s health deteriorated quickly after we arrived. Maybe because of the trip or maybe because of all the stress of leaving his world and the rest of the family behind. He never said a word. He kept everything to himself. After a month, my father suffered a mild stroke. With no insurance, the three of us had to pay the enormous medical bills. Just when we thought things couldn’t be worse, we received news from the family we left behind. Three sisters and one brother had escaped from Laos. Each one was in a different refugee camp in Thailand. The responsibility was put on us to find a sponsor for the four of them. We had to quit English class and work extra jobs to save some money. Our hope was to bring them to America. It took four years to save enough money to bring them to America. Meanwhile, the four of them lived in the camps. Finally we reunited in America. My fathers’ health was better but he would have to be cared for by the family. Things started to settle down to a better way of life. My father had seven children to work together and support the family. Together we saved enough money to buy a house. Now, ten years later, I am thinking about school. Even at my age I feel it’s not to late for me to learn. I applied for admission at the University of Central Florida. It wasn’t easy but now I am a student at a university. A large university built on 600 acres of land. 35,000 students filled the many buildings, dormitories and various other facilities of the campus. Students attended day and night classes. They offered all the latest computer technology and up to date science, a modern library, a theatre and a beautiful learning atmosphere. The university had many sports programs as well. Everything from basketball to football was offered. They were considered one of the top college sports teams in America. Compared to Lycee De Vientiane, UCF was a far better school. But somehow, all of this could not replace the spot in my heart that held my love of Lycee De Vientiane. Though I have not seen the school for many years, the picture in my mind remains the same. The school would be about 40 years old, now. I only hope it still stands today and is taken care of by good people. One day, I hope to return to my country to visit, someday. Then, maybe, I will get my opportunity to visit the school. I have waited a long time to go to this school. Only this time, I want to visit the inside of the fence. Who knows what I will see this time. It might be the happy ending to my next story.